It's impossible to deny the growing power of Instagram for both individuals and brands: the social media platform has launched careers of influencers, given celebrities a chance to connect with their fans, and lets brands talk directly to audiences. How are the most successful accounts on Instagram using the platform? We spoke with panelists from Advertising Week panel The Instagram Effect | Where Business and Passions Meet before they took the stage to find out why they prefer to 'gram. Levine has been Instagram's COO since 2014, helping transition the platform from a popular photo-sharing app to a place where businesses are willing to spend time and money. 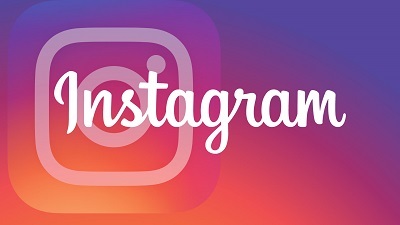 "Businesses have always had a home on Instagram – 80% of people on our platform choose to follow a business," says Levine. "My advice is to adopt a mobile mindset. Put simply, 'Shorter, Faster, Be Yourself.' We live in an age of visual communications where an image or a short video evokes incredible emotion and you have the ability to test this creative quickly and act fast on what’s successful. At the core of this success is being yourself and staying true to your brand." Navigating a career path from Washington, D.C. to Silicon Valley has taught Levine a thing or two about staying true to herself--as she told Moira Forbes earlier this year. She's known for and acting career and eponymous womenswear brand, but this summer, Parker made headlines for another reason.Her enthusiastic response to the solar eclipse, shared on her personal Instagram page, delighted the internet. Parker's use of the platform, clearly, is an impactful way for her to transcend expected content and bring followers into her everyday live. "I have found that [Instagram is] not only the best way of communicating with those I know, but it's a real opportunity to reach out to those I don't know, have interesting conversations, exchange ideas, share images, share kindness," she says. "The beauty of Instagram is that you're constantly finding things that are moving, funny, inspiring and heartbreaking. But you're able to have those experiences all day long from every corner of the universe." Jarvis' job keeps her on the go and constantly meeting new people; her Instagram presence, therefore, is like a scrapbook of each individual story she tells as a journalist. "With Instagram, I like that it lets me share a big idea, in a compact space," she says. "A picture and a few words, or sentences, can convey an important message, take my community on a journey, and/or allow people to see and experience the unique things I get to see in my reporting. I also like the fact that it’s a place where I can highlight incredible work and role models." Weiss has come a long way since her beauty blog Into The Gloss landed her on our 2015 30 Under 30 list for Retail and Ecommerce. Turning the blog into a cult-favorite cosmetics brands has rocketed Weiss into a social media maven who shares her daily life as a founder with her almost 300K followers. "I love Instagram because it's visual and it's personal," she says. "For us, it’s a valuable channel for communicating with our community where the conversation is never top down; it’s fluid and totally democratic. Our content is not only creating a lifestyle, but empowering her to share her own point of view. We listen and always look for ways to engage and include her, whether it’s by featuring her content on our account or even asking her to model in a campaign."